Being born and raised in the South, there are many Southern traditions I enjoy and to which I attach a feeling of normalcy. For instance, there is the broad term "Southern Lifestyle." More a state of being than any defined way of living, there are certain traditions that are just simply Southern. For instance, there is "Southern Hospitality" and in general a politeness whose roots go back generations. We seem to have, generally speaking, a somewhat slower pace of living. People in the South take their time about things. Maybe it's the heat and humidity. We have our colloquialisms. Probably most prevalent is the term "y'all." While technically a derivation of "you all," the term is used both in the singular and plural forms. If one Southerner runs into a neighbor at the store, for instance, it's not uncommon to hear one say to the the other "y'all come see us." This is not especially an invitation for a visit, whether from or to one or more people, it simply means stay in touch. And believe it or not, there is a distinct difference between a "Southern Drawl" and a "Southern Accent." There are also foods common to the South. Fried chicken, corn bread, hush puppies, and banana pudding all have a deep Southern heritage. 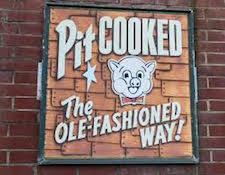 Pork Barbecue, the pit cooked variety, not to be confused with what one does with the grill on the back patio, was first brought from the Caribbean to the Carolina shores. Ask for tea in almost any Southern restaurant and you'll get something with ice and sugar (added when the tea is being brewed), not something served hot in a ceramic mug - and never, never something that is flavored (perish the thought!). We call it "sweet tea" and it is pronounced more as one word rather than two. Musically, we have our contributions as well. 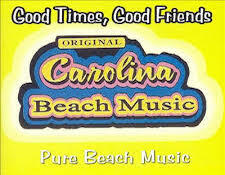 If anyone has ever visited North Myrtle Beach, SC, or more locally known as Ocean Drive (or the abbreviated version - OD), you'll know what I mean by the term "beach music." 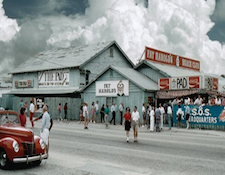 Hopefully, someone will remember the Pad on Ocean Boulevard right across from the Pavilion. Cold draft beer, sand on the floor, shagging (the dance) to the music of the Catalina's and the Chairmen of the Board - those were fun times. Bluegrass' early history may be traced to the mountain regions of Western NC and Eastern TN. "Southern Rock" got it's start in the Muscle Shoals, AL recording studios. From the Mississippi Delta to the famed Vieux Carre' of New Orleans comes two music types known the world over. Both uniquely American, Jazz and The Blues both enjoy a tremendous popularity to music lovers almost everywhere. The Blues - probably no other music is both a genre as well as a state of being. Folklore has it that Robert Johnson sold his soul to the Devil at the Crossroads in order to garner his prolific musical talent. From those humble beginnings, The Blues is now recognized as a musical art form. Jazz, the mere term alone tells you almost everything you need to know. From it's French Quarter birth, Jazz has never failed to captivate millions. We have a lot of great things here in the South. What we don't seem to have is a strong support mechanism for the audiophile hobby. Some Southerners may disagree with that statement but I believe it to be true. Consider high end dealers. While we may have one or two in certain major cities, and a few scattered in the outlying areas of major cities, we lack a strong dealer presence here in the South. Greater Charlotte has two dealers. Greater Denver, who is similar to Charlotte in size and lifestyle has nine. Given the dramatic reduction of retailers in general, fewer dealers in one geographic area make the hobby more difficult. Looking at manufacturing locations, the Northeast, upper Midwest, Southwest and the West Coast all are dotted with companies making high end equipment. And the South? Well, we have a few but not all that many as compared to other areas. Yet the South, regionally, has a robust manufacturing presence. Consider US based audio shows. They may be currently found in Rockville, MD, New York City, Chicago, Denver, Irvine, CA, San Francisco and Las Vegas. Why not the South? Aren't Southerners interested in all the things an audio show brings? I'm surprised one hasn't permanently sprung up in, say, Atlanta. All audiophiles know our hobby is not practiced by the masses. So having a group or a club, so to speak, is something many audiophiles enjoy. We know them as audio societies. There are multiple ones in California, the Greater Northeast, Southwest and other areas of the country. 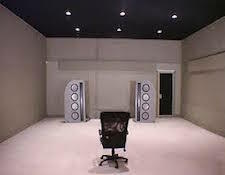 They are a place for audiophiles to get together, discuss components and systems and listen to music. And the South? We have a pretty strong group in Atlanta but look at VA, NC, SC, TN, AL, and MS and you won't find very many. We had one in Charlotte but it disbanded ten years ago. Oddly enough, what we don't seem to lack are audiophiles. We have, here in the South, a proportional number of audiophiles per capita as really any other section of the country. We just have less infrastructure to make the hobby more accessible. I've tried to understand why this might be and nothing worthwhile comes to mind. I've learned to accept it as just another part of the South - just like sweet tea. The South has a rich heritage. A heritage steeped in a proud tradition. By any admission, I truly love living in the South. 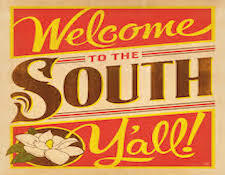 I love the culture, the lifestyle, (visit Charleston, SC and go "South of Broad" ) to see what I mean), the climate, the food, and owning up to some of our more infamous past practices, I love Southern Traditions. I just wish it was an easier place to be an audiophile.